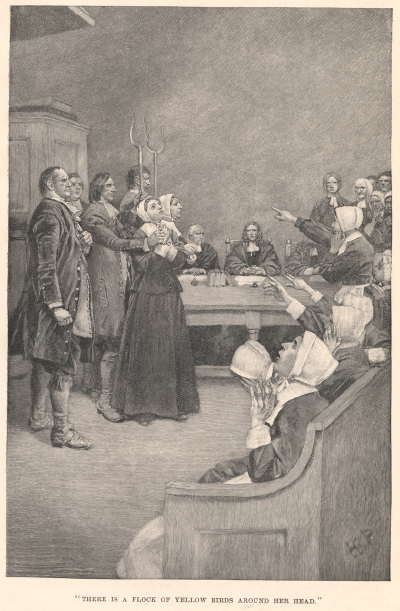 There are many theories about what actually happened that year in Salem. Some are cynical: the girls started the whole hysterical panic by playing a game for some attention, or as a way to make themselves feel powerful in a society that didn’t value them, or as a way to “get even” with those members of the community they felt had wronged them. Others are psychological: the religious fervor of this community was so great that of course the devil would send witches to torment them. Their belief was so strong in this absolute truth that they exhibited psychosomatic symptoms because they simply felt that they were truly bewitched. But I think the most enticing theory is drugs. Specifically the naturally occurring precursor to LSD (Caporael, 1976). Rye is the most common culprit in ergotism as the spores “[cause] a reddish discoloration of flour, which is less visible with dark rye flour” (Levy 2011). 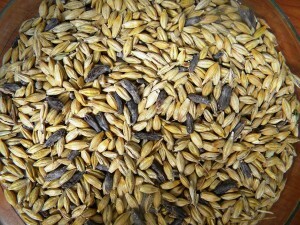 Modern day farmers still deal with infected crops but harvested grains are washed in salt water: the fungus bodies float to the top and are skimmed off. 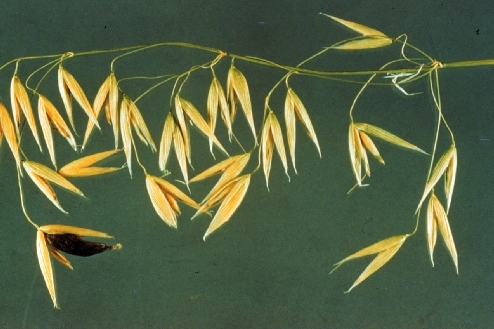 In the photos below the ergot kernels, each one properly called a sclerotium, are dark black when compared to the healthy grains. So did it cause the witch trials at Salem? It’s a compelling theory. 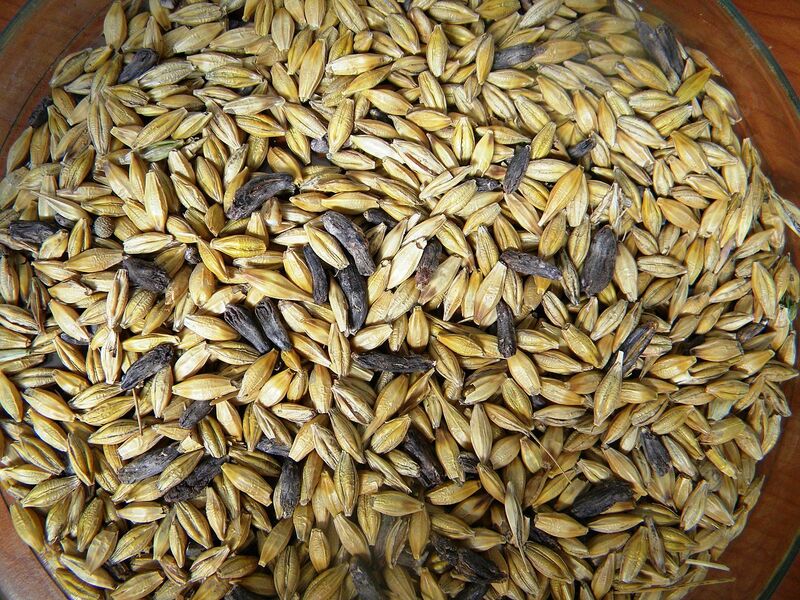 Ergot poisoning is known to cause “hysteria, hallucinations, and a feeling that something is crawling on the skin” (Stewart 2009). These symptoms are very consistent with its synthesized cousin LSD, whose users note that their visions of reality are distorted, they can see and hear things that are not really there, and out of body sensations. This could very well be the cause of the “spectral evidence” at Salem when the girls claimed to have seen demons and familiars clawing and biting at them in the meetinghouse (Caporael, 1976). On the other hand, many have taken issue with this theory, claiming that more of the town would have been afflicted and that none of the girls showed signs of blood vessel constriction, seizures, and “eventually gangrene and death” (Stewart, 2009) which are the progressed symptoms of the poisoning. 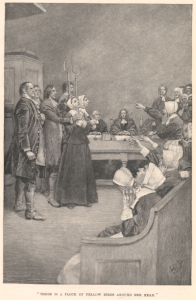 The most compelling argument against Salem ergot poisoning, however, is that it was well known as a potential for poison and as a medicine for obstetrical issues. It was referred to on an ancient Assyrian tablet as the “noxious pustule in the ear of grain” (Gibson). By 1093 it was referred to as the Holy Fire (Ignis Sacer) because the poison caused a burning sensation on it’s victims skin. The outbreaks were so severe a religious order (whose patron saint was Anthony) was established to care for the sick and another colloquial name, St Anthony’s Fire, was used to given to the affliction (Gibson). This outbreak “known as the Plague of Fire is believed to have killed up to 40,000 people in… France and has reoccurred sporadically in Europe up to present day” (Levy 2011). By the 16th century it was recommended as an “obstetric aid by German physician Lonitzer in 1582” because it was used by midwifes to “quicken labor” (Hofmann, 1978). However, European use of it as a drug was measured as it was still known for its poisoning abilities as well as its affect on the uterus. It wasn’t until it reached America as a treatment that it was embraced “with enthusiasm unlike the more cautious approach taken by [Europe]. As a consequence there was much over-prescribing and numerous maternal deaths and stillbirths resulted” (Mann, 2000). This tragic overuse of the drug lead to David Hosach (then of Columbia University) to discredit it’s use in childbirth in 1822 and instead recommend “its use solely as a means of stemming postpartum hemorrhage” (Mann, 2000) Currently, it is available on the market for this purpose (Anderson 2007). Although use of the fungus for reproductive purposes happened early on, it was not until the 19th century that European populations utilized the ergotamine alkaloids as abortifacients (Riddle 1994). However, there is some evidence that suggests ergotism was the cause of depressed fertility rates in Europe in the 1400s. According to John Riddle the demographic depression that “occurred in western Europe between the 1430s and the 1480s may have been caused by ergotism from a contaminated supply of rye bread, which in turn reduced fertility.” This correlation happens again between the 1660s and 1739 when “temperature and climatic conditions favorable for ergot alkaloid production” were found in the region with reduced fertility rates (Riddle 1994). However it is highly unlikely that individuals would have been able to control the dosage of ergot to produce a desired pharmacological abortion until the 1800s (Riddle 1994). If the colonists in Salem knew about ergotism (or at the very least St. Anthony’s fire) why wouldn’t the grain have been inspected when the girls started having visions and skin sensations? In reality, it was probably a perfect powder keg of primitive science, religious fervor, and collective hysteria that combined to cause the panic of a new town in a new world.